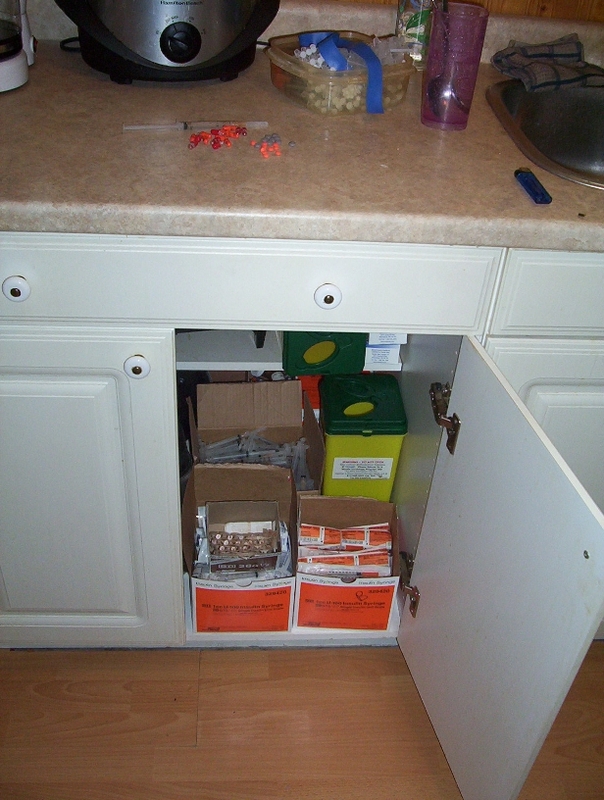 A homemade kit for injecting street drugs, notably opiates. 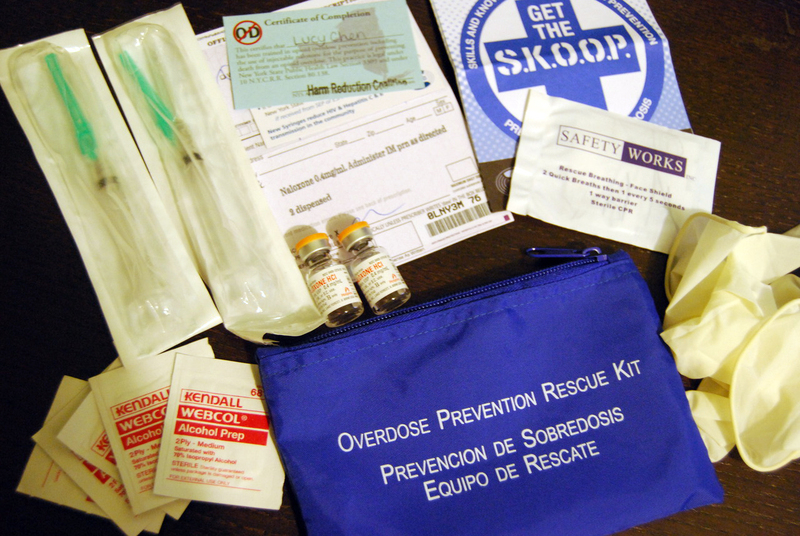 kit (e.g. a latex glove in place of a tourniquet). 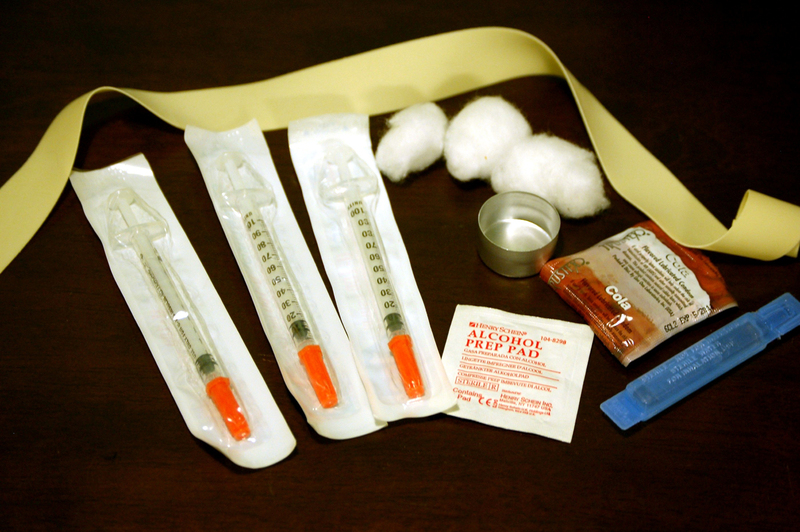 The contents of a needle exchange kit. 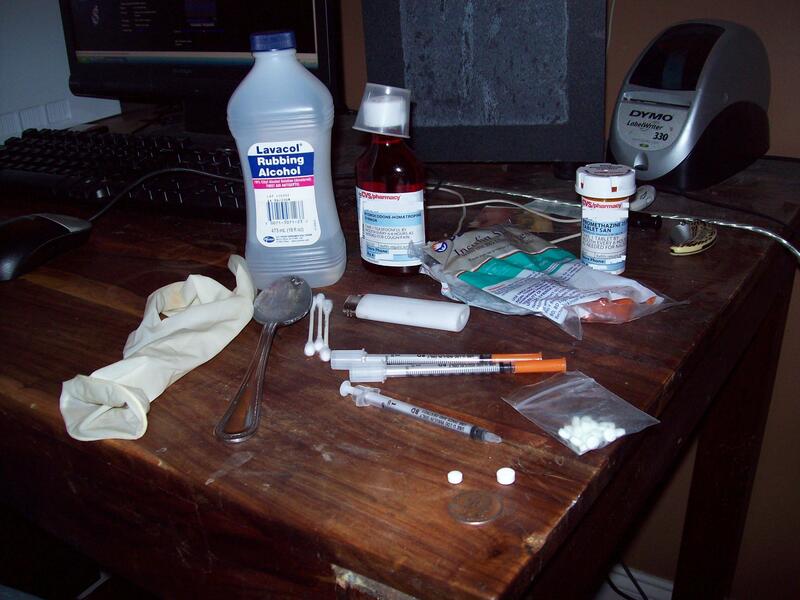 Clockwise from top: tourniquet, cotton balls, cooker, condom, sterile water, alcohol swabs, needles of different gauges. 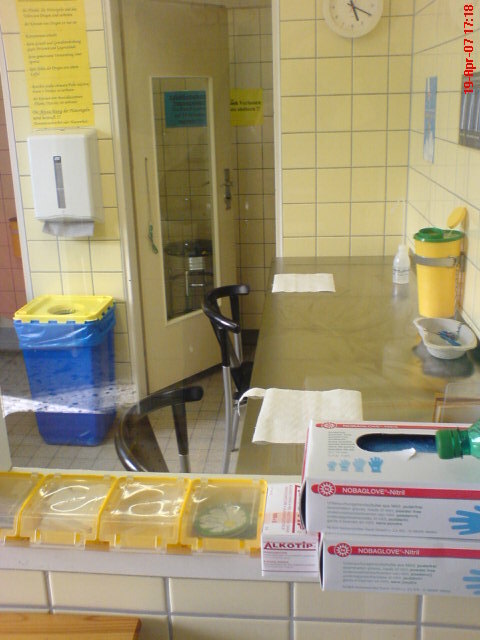 alcohol swabs, and sterile water. 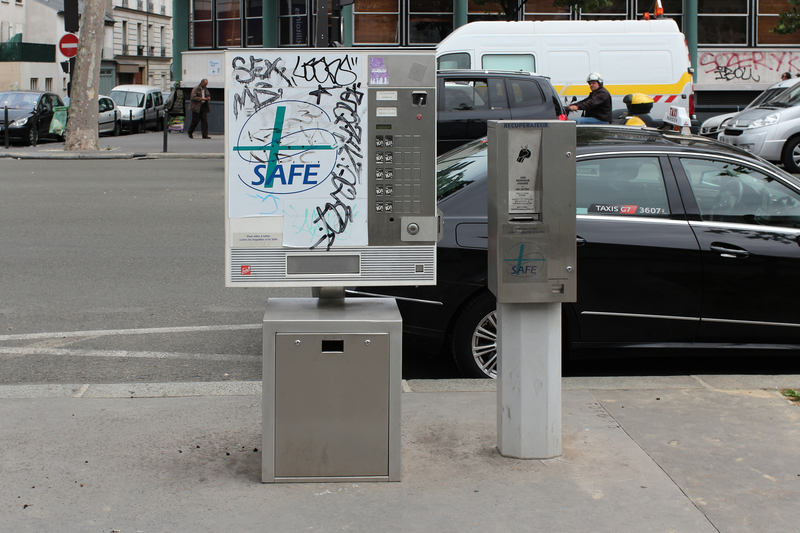 near Rue du Terrage by SAFE Association. 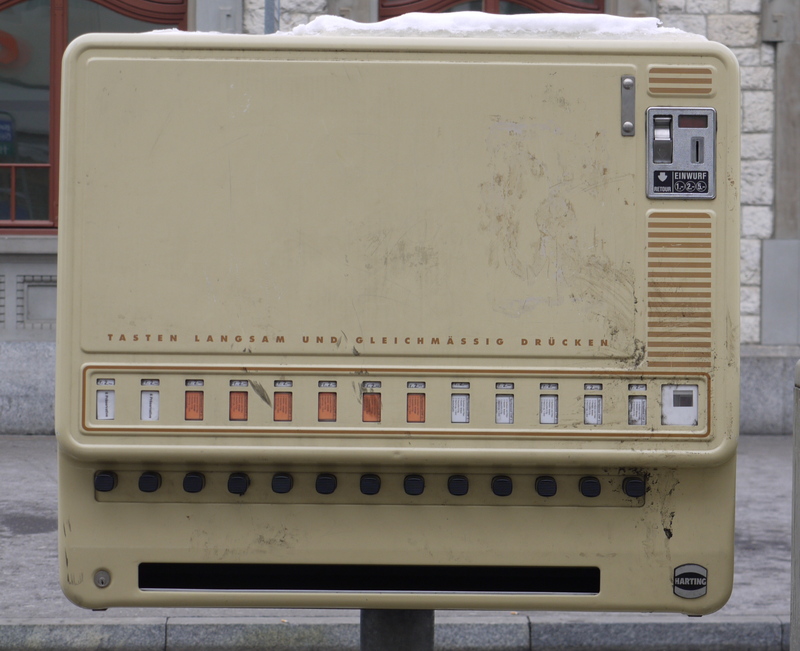 Vending machine that sells injection kits (sterile syringes, swabs, etc.) 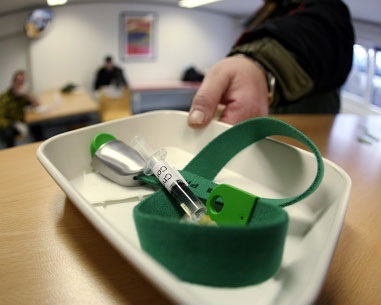 for safe injection of intravenous drugs, Zurich, Switzerland. 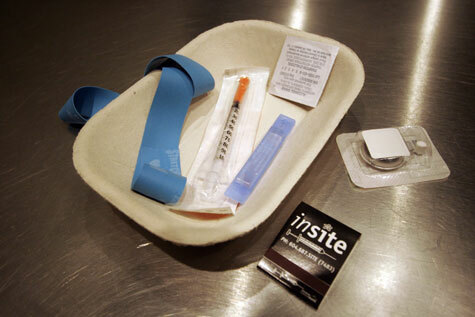 supervised injection site, Vancouver, Canada. 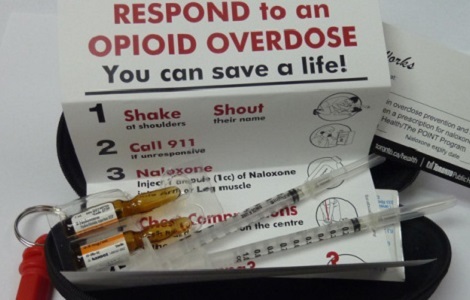 Overdose prevention kits that include IV naloxone are being distributed more frequently by needle exchanges and harm reduction centers.